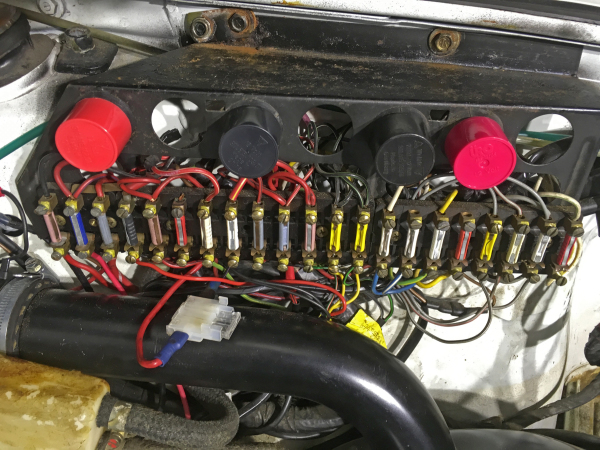 I am not in the habit of working on cars because they are so awkward to deal with, but anyway… Owner Jon was experiencing several electrical gremlins, including the engine stopping every now and then. He felt that a new fuse panel with better connections would be a step in the right direction. The superbly made panel comes from Classic Retrofit and aims to be a straight replacement for the stock setup. 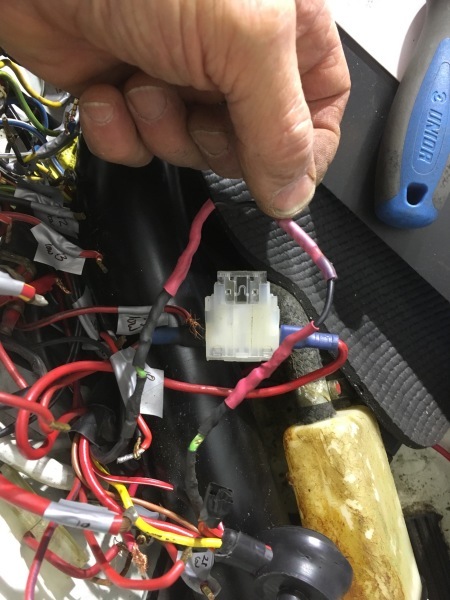 However, the car is 20 years old and has been owned by various enthusiasts who have swapped wires about and added new ones willy nilly, as well as conducting wild adventures with household cable and heat shrink. Working out what each cable really was, and where it should be, not to mention making safe repairs, passed the time splendidly. It called to mind the old saying: “Sometimes, when you’re up to your arse in alligators, it’s difficult to remember that your first objective was to drain the swamp.” Fortunately my landlord Olly had a factory manual. And unlike me he’s an incurable optimist. 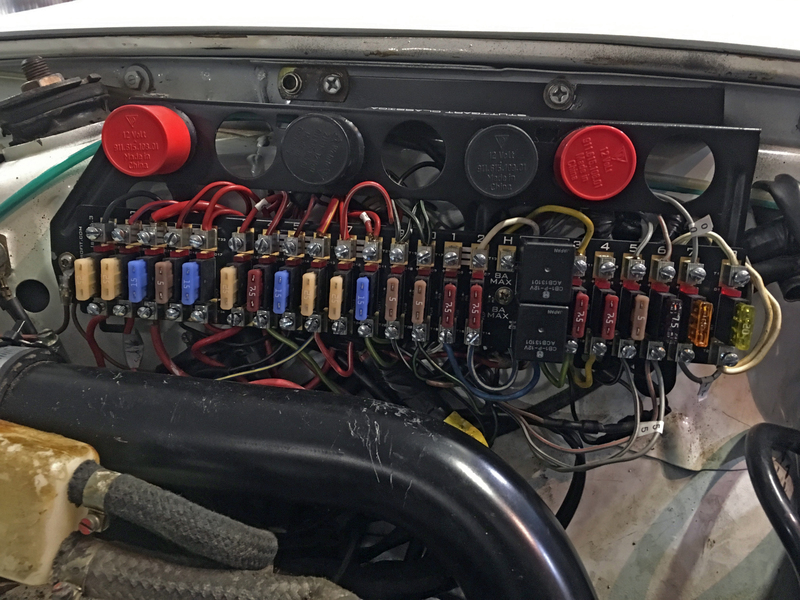 The new fuse panel, plus some new cabin switches, and a refurb of the engine bay fuse box, restored things to normal – although the headlight relay is over-sensitive and doesn’t always switch the lights on unless you touch the relay casing. Classic Retrofit say they’ve sold 500 panels and only had one other dicky relay (due to damage). Trouble is we can’t unplug the offending item and plug in a new one. It’s fixed to the panel. More to come on this, I suspect. Why is nothing ever straightforward on old vehicles? Because you come across stuff like this.